The silos between people and organizations are being broken down by the Internet. Businesses are being more open and transparent in their daily lives too, allowing consumers and buyers visibility into areas they’ve not had access to before. Every executive should learn from Don Tapscott, one of the “world’s leading authorities on innovation, media, and the economic and social impact of technology.” He’s an author, speaker, thinker, Chancellor of Trent University, and founder of the Global Solution Networks program at the Rotman School of Management in Toronto. Several years ago, Don gave a TED Talk titled “Four Principles for the Open World”, where he talks about some important theories on openness and transparency in the business world. Take a listen for yourself and see what you think. In the spirit of Don’s talk, here are three ways B2B businesses can develop their openness and transparency. We reported recently about how a strong partnership between the CIO and CMO is leading to a tighter overall organization as everyone’s on the same page when it comes to internal and external growth, how budgets decrease, and overall collaboration increases by osmosis. In turn, this affects your outward relationships as well, leading to bigger gains. 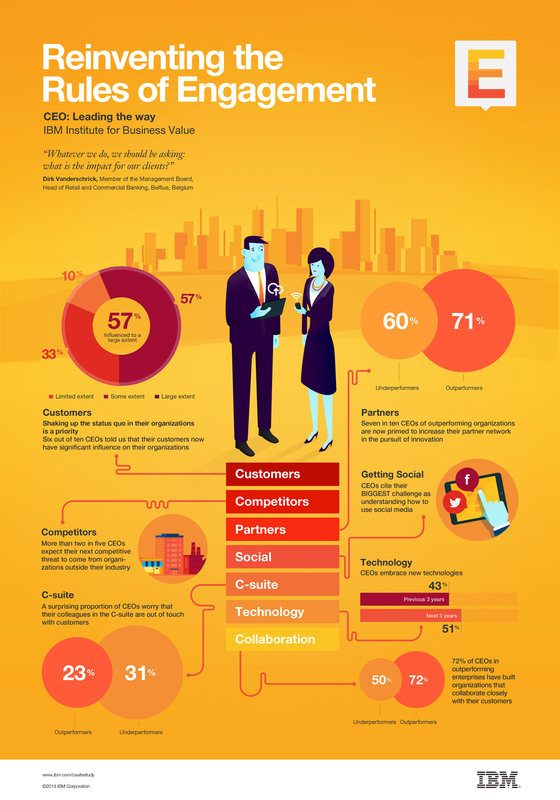 In fact, an IBM Global C-Suite Study found that almost 60 percent of organizations are significantly influenced by their customers, and that 71 percent of the top organizations are outperforming their peers because of that close collaboration with customers. Sharing good quality content is one of the main ideas behind content marketing, however in the B2B world we make readers jump through too many hoops to get it. We ask for 15 pieces of information before giving them access to beta version of our product. Our blog posts convey the same-old social media advice. Instead, try giving away more of your content and only ask for information when it’s truly necessary. That’s not to say you should give it all away, however learn which is best given freely, and you’ll see your audience grow. Here’s a great flowchart from HubSpot that’ll help you make that choice. 3- Rethink how you communicate with your audience. As B2B audiences become more wedded to their technology and more sophisticated in their marketing tastes, marketers must evolve as well. Audiences have different expectations for content because they’re looking at it differently: on the go, in-between meetings, on smartphones and tablets, through social media platforms, and more. This is why content marketing has become so popular for many marketers, and why B2B executives are embracing it now too. It removes the wall between buyers and sellers, B2B marketers and their audience, and develops a path of open and honest dialogue between the two. Technology and the idea of openness are changing the expectations of B2B buyers, and marketers must change with them in order to survive. Creating honest and open paths of communication, giving away information, and removing all barriers to collaboration both inside and outside your organization are some of the ways to do that. B2B buyers are demanding this type of change, and those that are willing to make the time and energy investment will reap the rewards.